I was sent some samples from the Mo Mineral‘s collection. 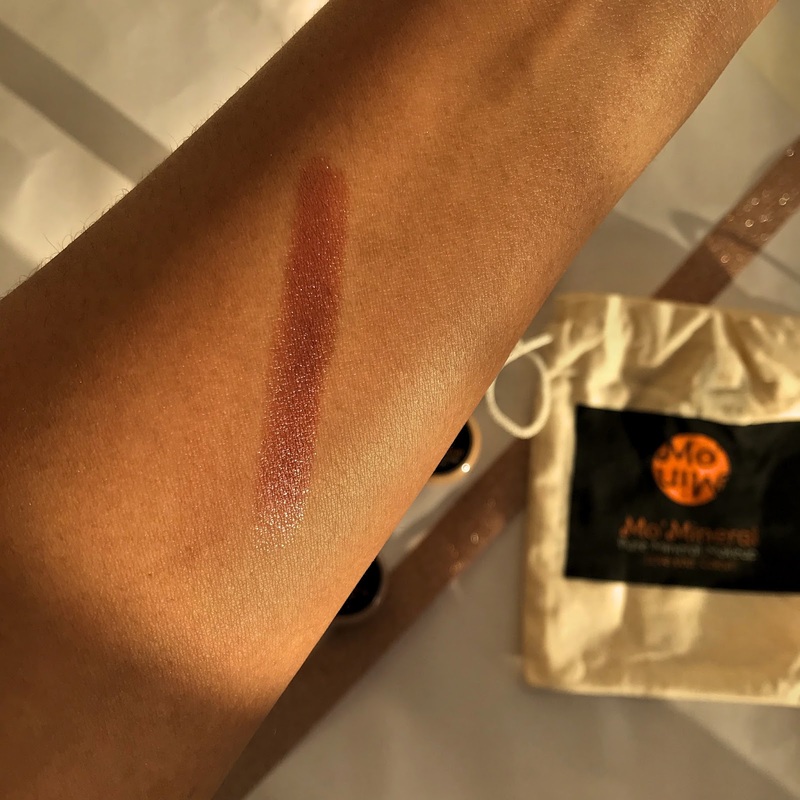 I am particularly excited about trying these products not only because it is mineral makeup, but it is a UK Black Owned makeup brand. I have been meaning to try out some black owned beauty brands, so the excitement is real. I loved reading up about Mo Mineral and what they stands for. I am so here for businesses that fill the gaps and cater for the underrepresented. 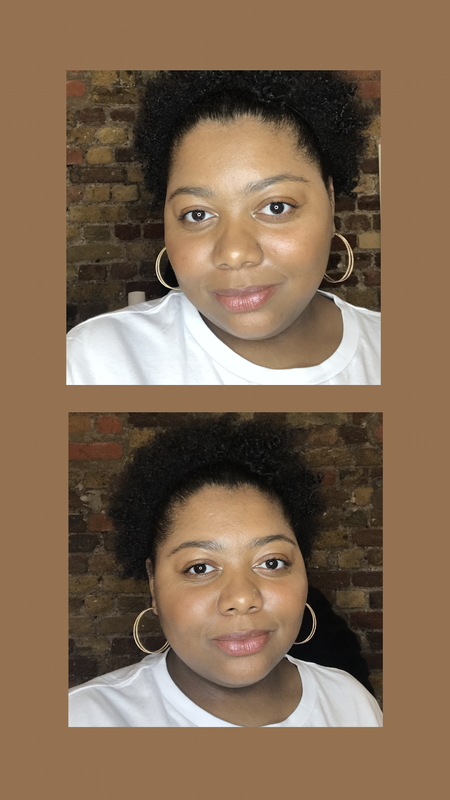 Makeup for black women and specifically dark skinned women in the UK has been an on going issue. What was available wasn’t always great and brands that were black owned were not assessable in the high street stores. It felt as if a lot of us were not meant to experience the beauty world and had to settle with what was available, mixing shades and making it work became the common experience for a lot of black women. I am so glad to see that well overdue change come. 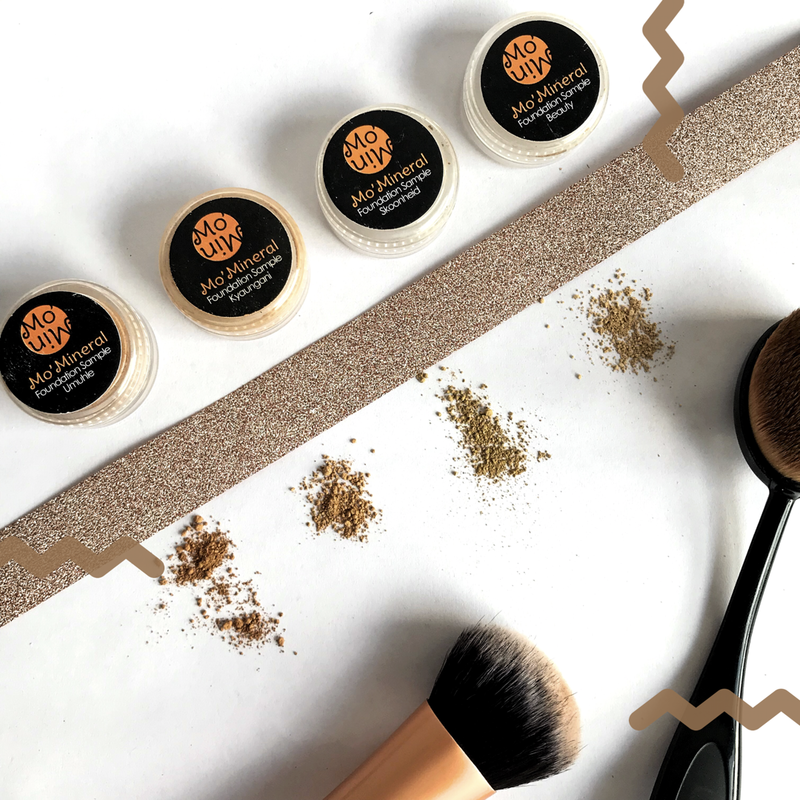 Mo Mineral Makeup is 100% natural, and it’s lightweight formula applies smoothly onto the skin, allowing the skin to breathe and prevents the blocking of pores. Their range also contains SPF20 sunscreen protection and is halal, except from their mascara which contains alcohol. I received samples of their foundation and blush, I got to choose which shade of lipstick I wanted so I went with the shade Juicy. I like that you can choose a collection and you get three to four shades within that collection so you can get a really good match. There are four collections to choose from there is; Medium Tan, Light Tan, Deep Tan and Dark Tan. Each sample collection comes with a blush shade as well. I was sent four shades from their Light Tan foundation collection and the blush in the shade Ifunanya. I have foundation shades; Beauty, Kyaungani, Umuhle and Skoonheid. Looking at the shades I guessed that I would either match with Umuhle or Kyaungani as they were the closest to my skin colour. All of their foundations are called beauty in different African languages. This brand is right up my street, I love a natural look, especially as I very rarely wear makeup and I do not normally go to ay fancy places that require a full beat. 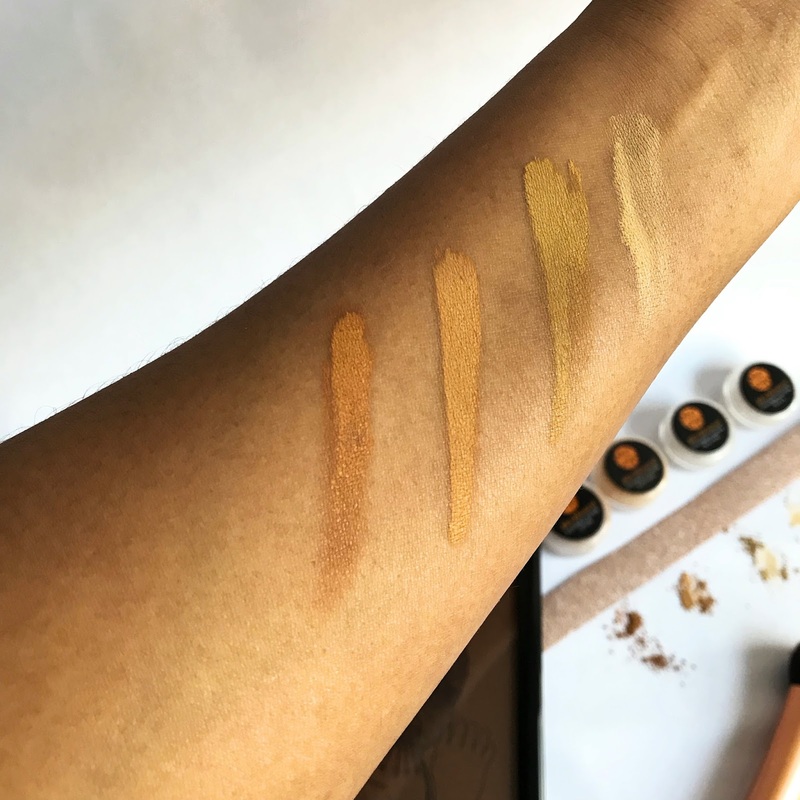 I matched with the foundation shade: Kyaungani which means ‘beauty‘ in Hausa, the language commonly spoken throughout southern Niger and northern Nigeria. I loved the natural glow and airbrushed look it gave me in photos, in person it just looked like my skin. It is not full coverage, it is more of a light to medium coverage and I found that it wasn’t buildable, however I applied it with my fingers so it could have been the reason for that. Sometimes I just want the redness, blemishes and dark marks to be covered, this foundation was perfect for that. It worked well with my oily skin as well. I never used it as an all day product so I couldn’t tell you if it was long lasting as I would normally apply it in the evening and take it off once I got home. 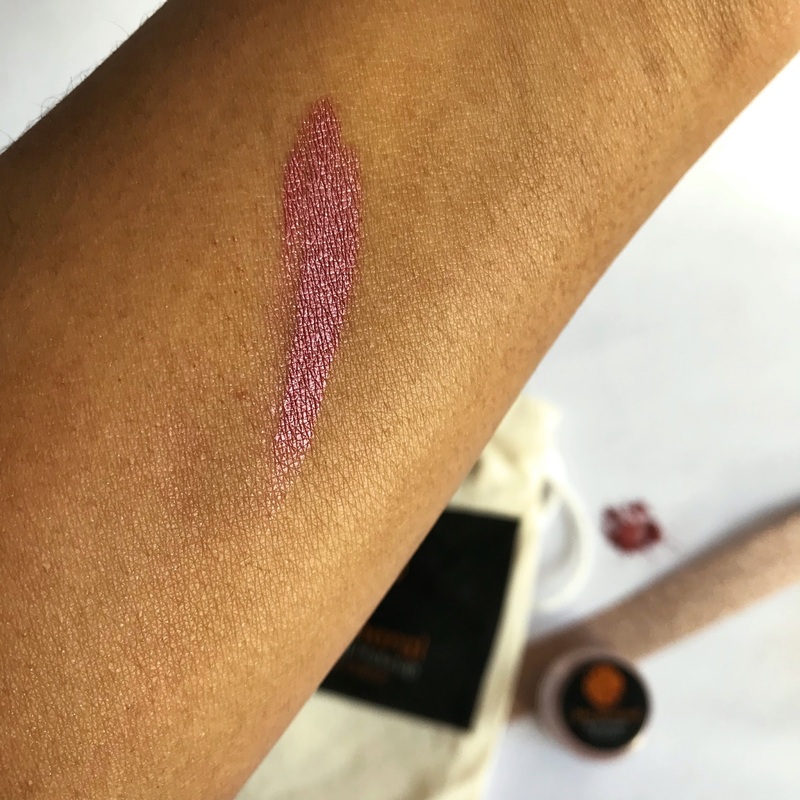 I can say it was easy to blend out on my skin, I really liked the fine texture, and liked that it didn’t feel powdery or drying. I am not much of a blush girl so I wasn’t too sure about the blush but it is a beautiful shade. I love how pigmented it is, I suggest only using a small amount of it and building on top of it. I liked the lipstick shade, I was unsure when I first applied it then I dabbed off some of the excess and was much happier with the look. It is a shade I’m not used to using so it took some time to get used to. I liked the formula of it and the fact that it wasn’t matte, a nice smooth lipstick for everyday wear. I can’t lie this is the best colour match I have had. I was shook at how well it looked in pictures, literally looks like my skin on a good day, what more can I ask for? This is going to be a go to for me, as I have already finished my sample I am going to treat myself to the full sized product. Out of all three of the products I am most happy with the foundation and lipstick, I think I have to play around with the blush more to get used to it. But the lipstick has grown on me and I am liking how natural it looks. These are your everyday type of makeup products, I would say these are good for those who want to try something light and prefers the no makeup makeup look, I wouldn’t recommend this if you want full coverage. Foundation gets a 5 out of 5 from me, other than finding it difficult to get out of the small container the sample was in I haven’t got anything bad to say about it. I need a ring light in my life because the glow I got from using this with my iphone camera is MAD!! Lipstick and blush get a 4 out of 5, I know how to make them work so I know I can use them again, I would like to try the two out with different looks though. 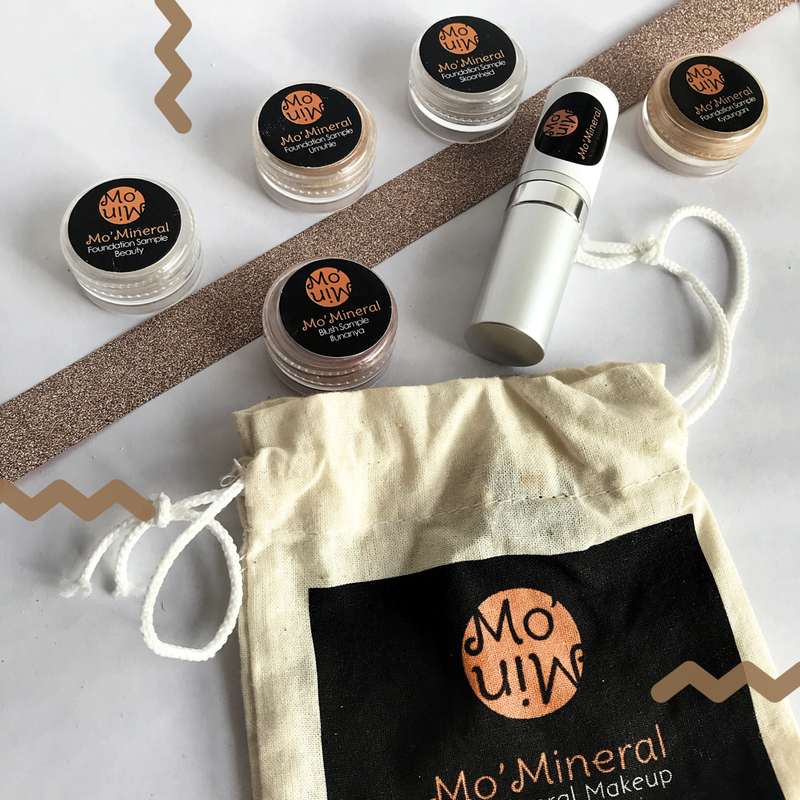 Overall I am happy with the products and would definitely use Mo Mineral’s makeup again. Thank you Mo Mineral and Ariatu PR for hooking me up.